First up, I don’t have the patience for anything that involves tools. I want the job done NOW, so anything that isn’t a two minute job with a screwdriver or a hammer is beyond me. Anyway, this post should really be titled ‘how to ruin a Monday evening in a few simple steps’ because that’s exactly what happened. Here’s the background…. 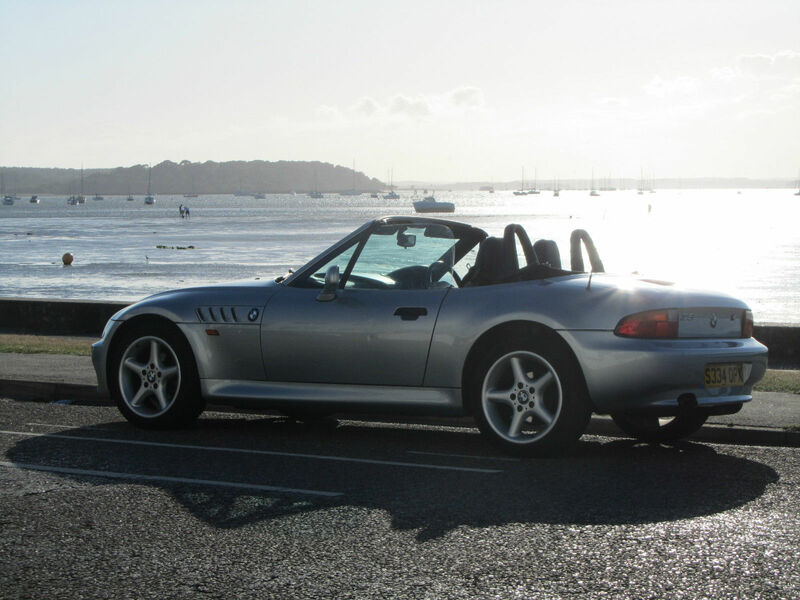 I bought a BMW Z3, and on the initial test drive, noticed that the drivers seat was rocking back and forth, mostly under braking. The seller claimed they ‘never drove the car hard enough to notice’, and bless the old dear, she was probably telling the truth. So I did what any decent person would do, and googled it. 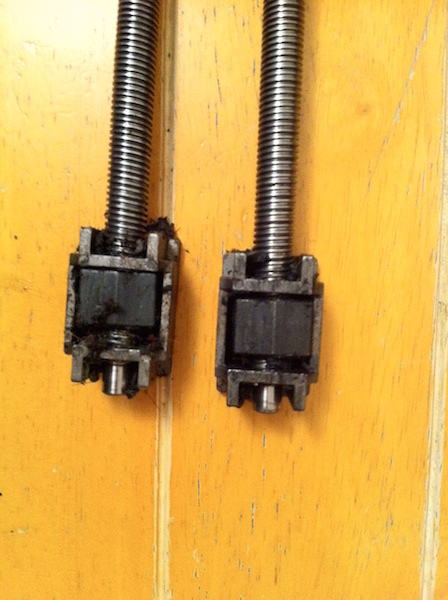 Turns out the bushings in the seat mechanism go awol after a little while. These are available to buy here, so after plenty googling, I purchased them. 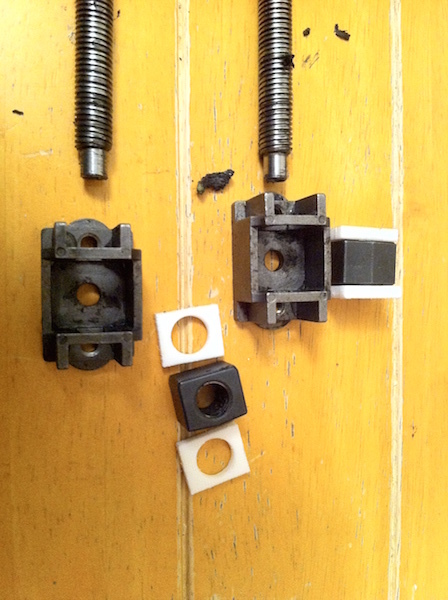 Right, once your bushings arrive, make sure you read EVERY article there is on replacing them. There are a lot. And YouTube videos. Done that? Brilliant. Now here’s a guide for how to actually do it. When removing the seats, try and scrape at least one of the runners down the side of the car. Really badly. The deeper the scratch, the better the feeling of satisfaction when you sell it for less than you bought it for. 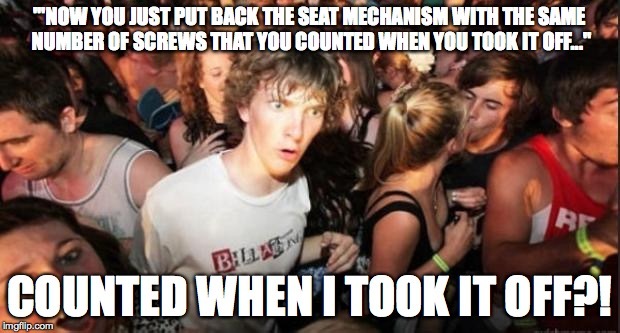 Once the seat is out, ignore all the advice about counting the turns and screws on the ‘kebabs’. Just disassemble the entire thing before reading the advice about counting the turns and being meticulous with removing them… Either way you’ll get the same result – total confusion. 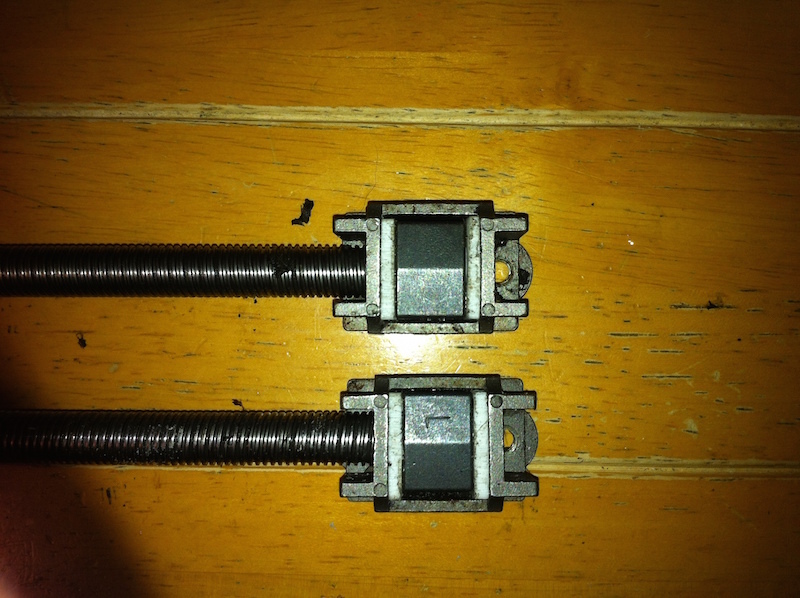 Can you see the original bushings? No, me neither. There’s virtually nothing left of them. 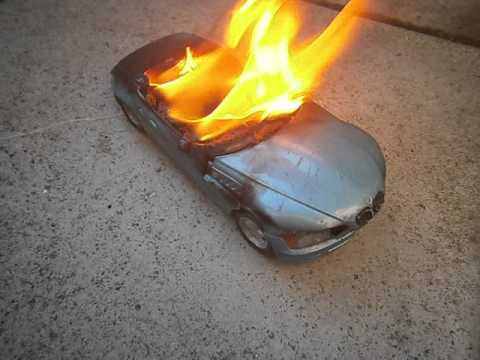 Well BMW, that didn’t work did it?! What did you make those out of at the factory, sauerkraut?! When you’ve got the new bushings out of the packet, you’ll need to sand them down. This is the easy bit. Get a piece of sandpaper, and rub the bushing on the paper until you’ve lost all the skin on your thumb and a good portion of the skin on your forefinger. 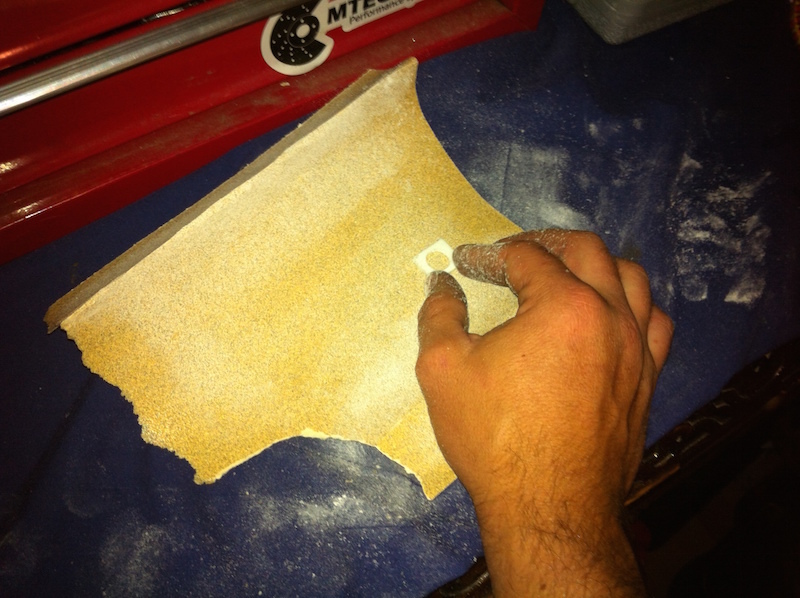 Once most of your skin is on the sandpaper, you’re ready to put them in place. If the bushings don’t quite fit, use a hammer. Then go and read all of the advice, which tells you NOT to use a hammer. Right, now that you’ve got the bushings to fit (thanks to the hammer that you shouldn’t have used), you can put them back into the carriers… Now would be a REALLY good time to realise that ONE of the carriers has an L on it for Left. Which is completely indistinguishable from the other side, and it’s now impossible to tell which is which because you’ve already removed them both. Now for the easy bit. All the guides make this bit sound like a piece of cake, and do you know what? It freaking isn’t! You need to get the carrier onto the kebab, and get the entire assembly down into the seat runner… What the guide’s DON’T tell you, is that the stick part of the kebab at the bottom needs to accept the square part of the motor arm, AND that the outside of the kebab needs to push down into the recess on that piece of metal at the end. Otherwise, you’ll never be able to get the torx screw in place. Do you know how many hours it took me to work this out?! ALL OF THE HOURS! Finally, put the seats back in. By now, it should be dark outside, and cold.